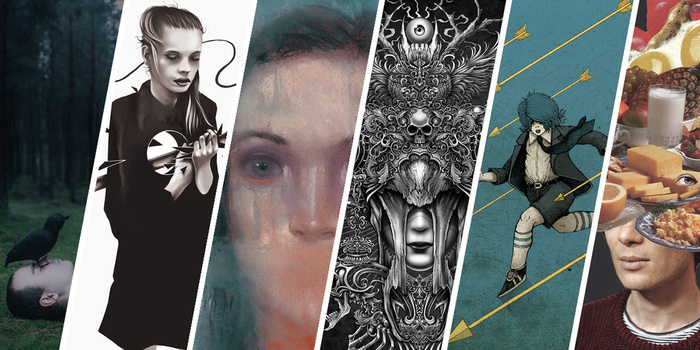 This week's Six Pack features art from Gabriel Isak, Kyle Cobban, Winya, Ashly Lovett, EvolveR and KUBISM. As a growing community, we appreciate every single person on the ride with us. If you like the work below, click through and give a promote. If you really dig an artist's work, follow them and stay up on your My Society feed. Really a great choice of artists! Amazing 6 pack this week. Thanks for the feature! Great company to be showcased with too! Very beautiful & dark collection!